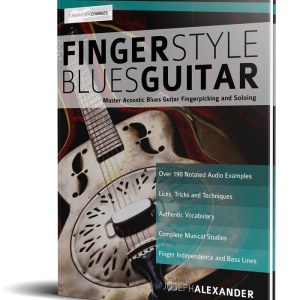 Not just a 94 page book, this is a full and in-depth video guide that helps you master 11 exotic pentatonic scales and 55 essential licks for guitar. 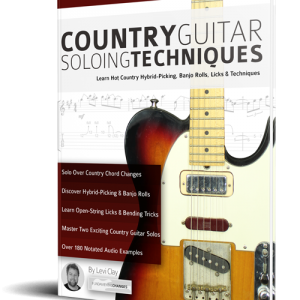 Gain new melodic tools and insight to develop your solos and enhance your creativity. Have you ever been stuck in a rut with your soloing or wondered how the guitar greats seem to find notes that you don’t have access to? Often, by making small adjustments to standard pentatonic scales we can find dramatically different and expressive ways to communicate on the guitar. 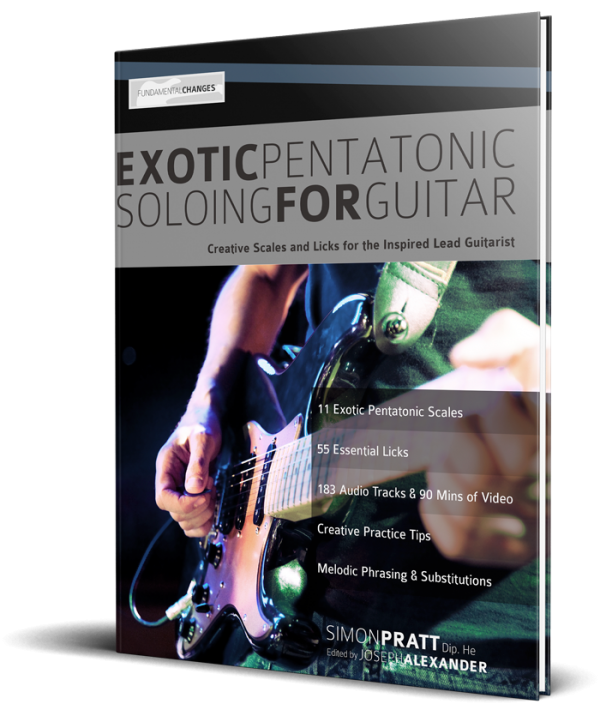 Exotic Pentatonic Soloing for Guitar covers the ‘Robben Ford’, ‘Lydian’, ‘Iwato’, ‘Hirojoshi’ ‘m7b5’ and ‘Hindu’ Pentatonic Scales, plus many more. Each scale is taught around the five CAGED shapes with five exciting licks for each scale. 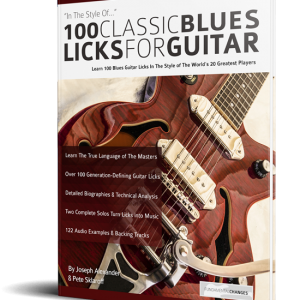 Each scale and lick is taught in a one to one video lesson with the author Simon Pratt giving you dynamic insight into the construction and use of these creative pentatonic scales for guitar. 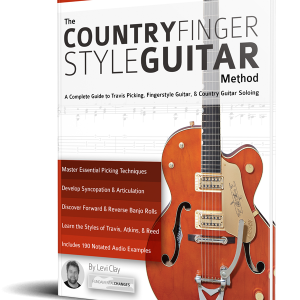 This is a new title, but check out our 3000+ 5* reviews on Amazon for our 25 other best-selling guitar books.